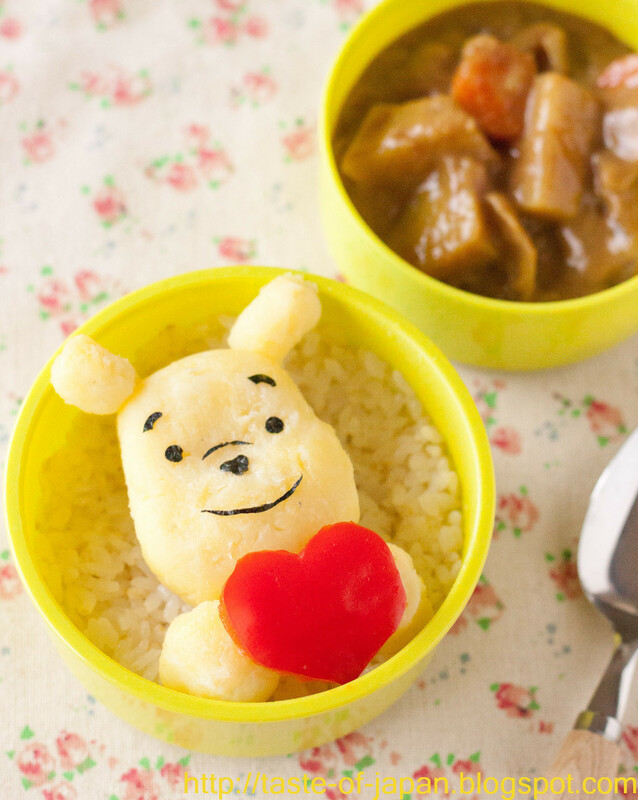 Shape mashed potato into Winnie the Pooh shape and put it in a bento box! Shape the mashed potato into a pooh face in plastic warp. (Make a large forehead for more natural looking) Also make ears and hands. Put the parts together. To make a heart, cut red pepper into a heart shape!